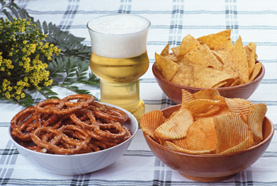 Certain foods—especially those with high fructose corn syrup (HFCS); fats; most processed foods, sweets and salty snacks—meet the criteria of drugs of abuse and their effects on the brain: loss of control over the substance, tolerance, withdrawal, and continued engagement with the addictive substance despite potentially dangerous outcomes. Yet, the notion that some food causes addiction by stimulating the release of some brain chemicals, like dopamine for example, is a bit simplistic. However, it is safe to say that addiction is due to an imbalance between different neurotransmitters in certain areas of the brain. Science is now working on whether this imbalance already exists in the brain of some people, or is caused by food, or both. Sugar, especially HFCS, is a key ingredient in food addiction and obesity. It is the primary food that stimulates the activity of dopamine (DA) and µ-opioids, the two main neurotransmitters implicated in this neurobehavioral adaptation we call food addiction. If you must know, one theory says that food stimulates the lateral hypothalamus, which activates the ventral tegmental area causing stimulation of DA and µ-opioids. Boy! That was a mouthful! Yet, again, food addiction involves a disturbance in the normal balance among different neurotransmitters other than DA, namely gamma-aminobutyric acid (GABA) and serotonin (5HT). 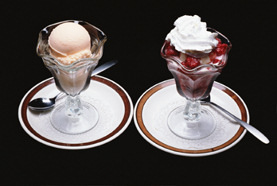 The same food (e.g. 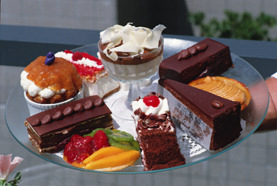 sugar) can have a stimulant (or drive/liking) and/or a reward (or pleasure/wanting) influence over appetite. The drive/stimulus/liking of DA stimulation might create binge eating (consuming excessive quantities of food within 2 hours with a sense of lack of control), in one person, while in another, DA’s reward/pleasure/wanting stimulation might create simple obesity or anorexia. In the latter case, food may serve as a substitute for lost or absent relationships, a way to offset anger, or another psychological state. In practice, a “dual-vulnerability” model is common. That is, obese patients start out more sensitive to the reward aspects of food, but in time become more tolerant of the stimulating aspects of food, thus needing more and more food/stimulus to achieve the same level of pleasure. That is addiction. Research finds that DA stimulation varies, not only with different foods, but also in different populations, may be because people have different styles interacting with food. The University of Florida Living with Food Program refers to these styles as Information Gathering and Sharing (IGS) styles. 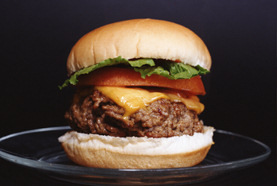 An individual’s IGS style determines her relationship with food. People with different IGS styles will have different relationships with food and, in turn, a different stimulation or inhibition pattern for the same neurotransmitter (e.g. DA, GABA). For example, GABA can cause either obesity or anorexia, depending on which part of the brain it affects. In a particular patient, eating a certain food may stimulate one part of the brain instead of the other, possibly because the patient’s IGS style entrains other neurotransmitters that also affect that part of the brain. Therefore, reaching a better understanding of how neurotransmitters interact in food addiction (how DA and µ-opioids influence GABA and serotonin), and how IGS styles (the unique relationships patients form with food) work, will make better treatments for obesity possible in the future. Don’ forget to take your Food Addiction Quiz.